Tried plugging Plantronics CS55 into Cisco IP phone headset port. Why doesn’t it work? The Cisco IP phones (series 7940, 7941, 7960, 7961) have a dedicated headset port on the back and a headset button right on the front of the phone. If you buy a wireless headset like the CS55 or CS70 WITHOUT also buying the optional HL10 handset lifter, then you will plug the CS55 base into your Cisco phone’s dedicated headset port and you must change the configuration setting on the CS55 base tower to number 4. This is the round dial with the slit down the middle which is located on the left side of the CS55 base tower. Turn the dial until the number 4 is directly lined up with the raised plastic ridge to the right of it. When a call comes in, turn on your headset by pressing the button on your earpiece and also press the “Headset” button on your Cisco phone to answer the call. Press the same buttons to end the call. You obviously won’t be able to answer or end a call while away from your desk since the Headset button on your Cisco desk phone is acting as your hookswitch. On the other hand, if you have a wireless headset AND you also have purchased the optional HL10 automatic handset lifter, then you will ignore your phone’s headset port and headset button completely. You’ll plug your wireless headset into your Cisco phone’s handset receiver port and your handset receiver into the other port on the bottom of the wireless headset base tower marked with a symbol of a handset receiver. In this set up you will want the configuration dial on the left side of the base tower to be turned to number 1 so that the 1 is directly lined up with the raised plastic ridge to the right of the dial. 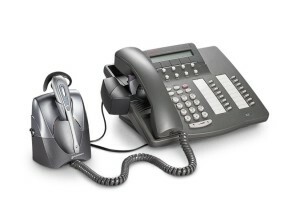 When a call comes in you have one-touch call answer/end capability by just pressing the button on your earpiece. No need to press any button on your Cisco phone, so you can answer/end from anywhere in your 300 ft. range. 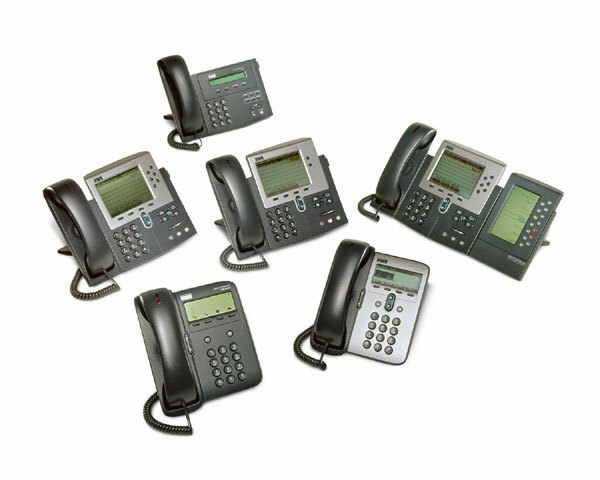 Here’s the link to Founders Telecom for all the Plantronics CS55 and a link to the Plantronics HL10 handset lifter if you need it.